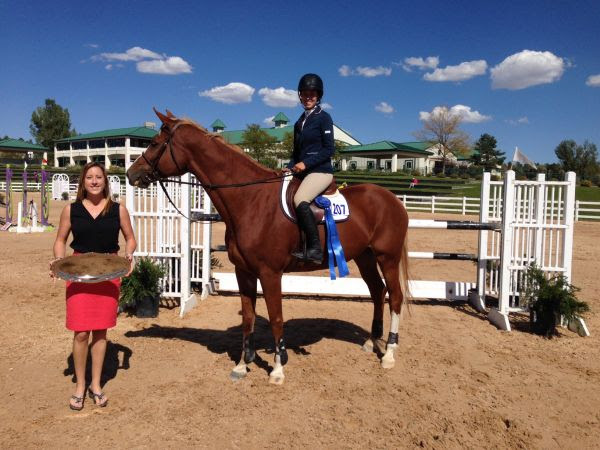 Parker, CO – October 10, 2014 – The Colorado Horse Park hosted the USEF “A”-rated Colorado Fall Finals Horse Show September 25-28, 2014, at the picturesque facility in Parker. 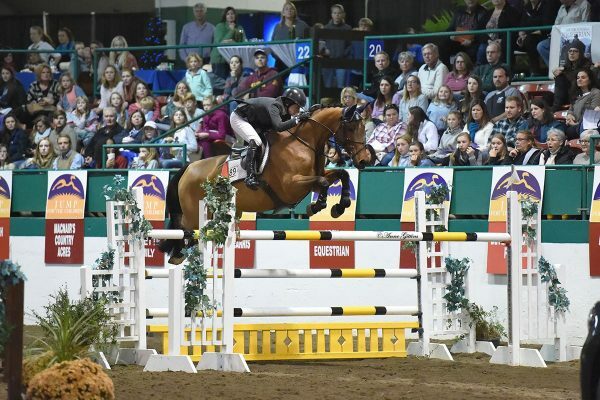 The final hunter /jumper competition of the 2014 season featured a full range of hunter, jumper, equitation and pony classes and divisions, including hunter and jumper classics. 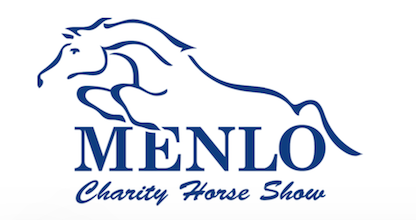 In the amateur hunters, Caitlin Burns from Longmont, Colorado, and her mare, On the Money, won both their over fences classes on Saturday and were fourth in one of the over fences classes on Sunday to clinch the championship of the Junior/Amateur Owner Hunters. Burns trains with Mark Mead of Sleepy Hollow Farm in Longmont, Colorado. With her own Blue Dutch, a grey Dutch Warmblood gelding, Burns also prevailed in the Adult Amateurs 18 and Over division, earning the tricolor. Burns and Blue Dutch won an over fences class on Saturday and were third in the other. 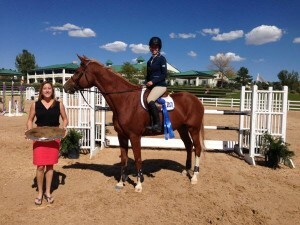 They also won Saturday’s $500 Marshall and Sterling Adult Hunter Classic. On Sunday, the pair won an over fences class, were fourth in another and fifth under saddle. 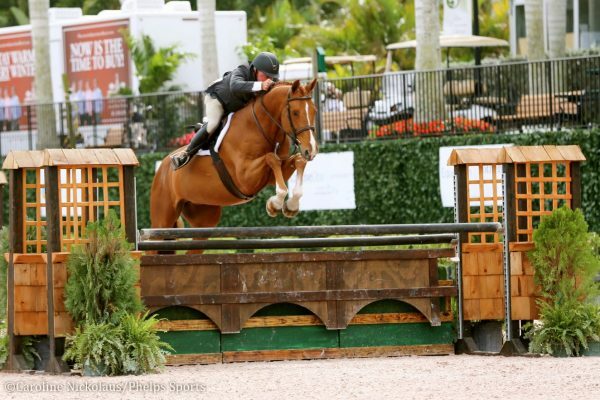 In the $500 NAL Adult Hunter Classic, the pair earned second place honors. 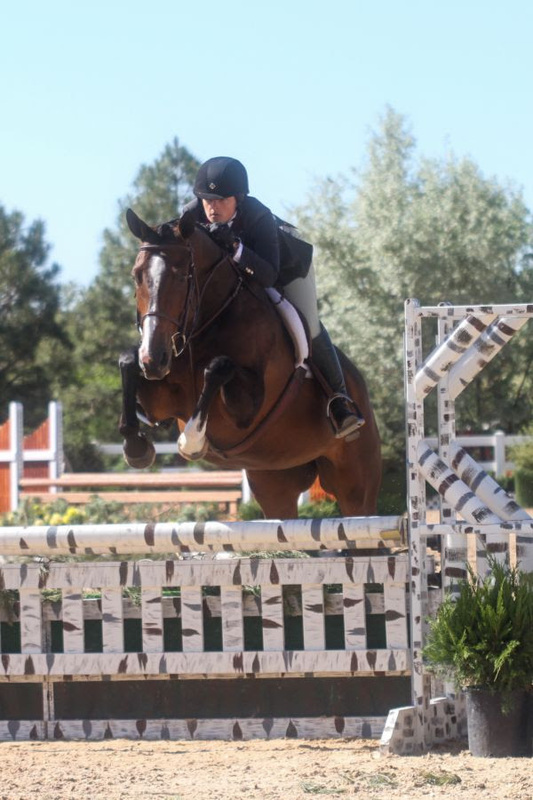 Fall Finals at the Colorado Horse Park also featured jumper competition in the Kathy and Brad Coors Family Grand Prix Arena, and Navona Gallegos won the $2,500 Welcome Stake. Gallegos trained with Mike Elmore while she was still showing her last pony and transitioning to the junior hunters and the equitation. Then, she worked with Karen Healey on the West Coast and rode with Laura Kraut on the East Coast through her college years. Last year, she concentrated on finishing at University of Virginia and sent her horses back to Elmore in Abiquiú, New Mexico. After graduation, she moved back to the Santa Fe area. Gallegos purchased Vatricia, a chestnut Dutch Warmblood mare, from Kraut and showed her in the 8-Year-Old Young Jumpers. The horse and rider team progressed together to grand prix. 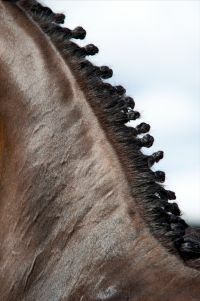 According to Gallegos, they matured not only as a team, but also individually as a horse and as a rider. Then, Vatricia had two unrelated back-to-back injuries and was sidelined for over a year. Whitney Stahl Presents the award to Navona Gallegos and Vatricia. 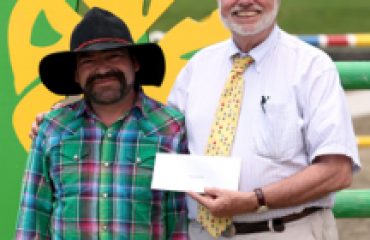 Elmore credits his client’s talent for their fantastic results at Colorado Horse Park. 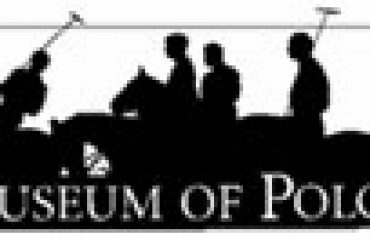 Check out the Colorado Horse Park website for postings of educational events for the 2014/2015 season. 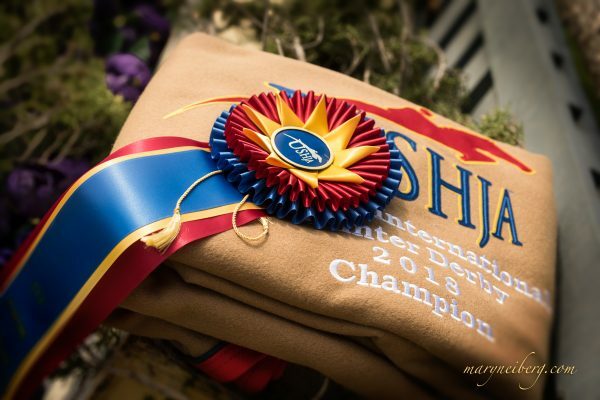 Hunter/jumper competition resumes on March 14-15, 2015, for the CHP Marches on CHJS show, followed by CHP Spring Warm-Up I, which runs April 23-26. Click here for complete results from Colorado Fall Finals. Celebrating its 21st Anniversary, the Colorado Horse Park was founded by visionary Helen Krieble who acknowledged the need for a high-volume horse show and horse boarding facility to serve Colorado. The Colorado Horse Park welcomes more than 35,000 visitors per year and hosts over 40 competitions annually. CHP features a derby arena designed by Olympic-designer Linda Allen and a cross-country course designed by Olympic Gold Medalist David O’Connor and eventing super-star James Atkinson. There are 300 permanent stalls with capacity for more than 1,000 stalls.